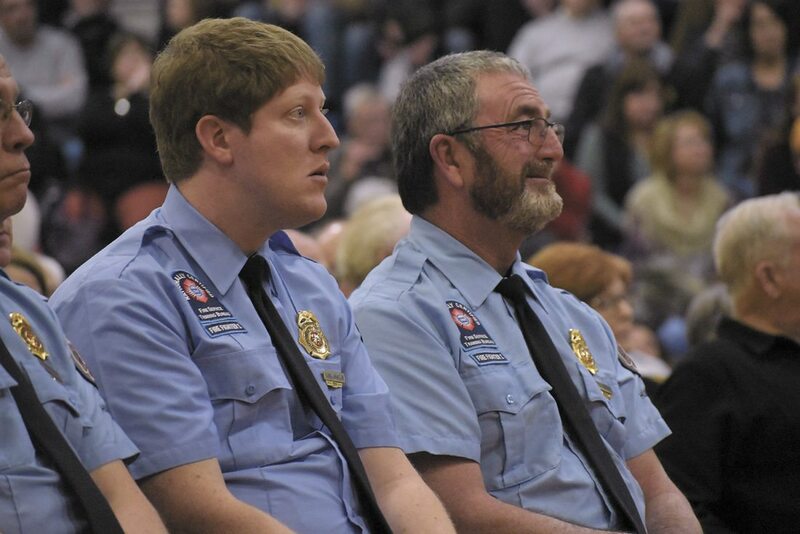 -Messenger photo by Chad Thompson Ross Newton, Humboldt volunteer firefighter, left, and Jim Gronbach, Humboldt volunteer fire chief, listen in during Richard Picciotto’s speech Sunday afternoon at the Humboldt High School. 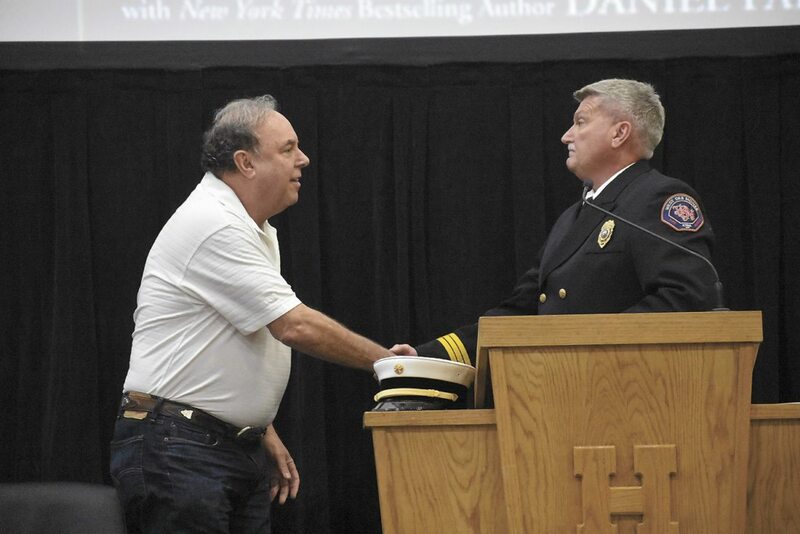 Picciotto, a former Fire Department of New York Chief, spoke during a Humboldt Volunteer Fire Department fundraiser. Picciotto was inside the north tower of the World Trade Center when it collapsed on 9/11. -Messenger photo by Chad Thompson Richard Picciotto, former Fire Department of New York chief, left, shakes hands with Jerry Eslick, former Fort Dodge fire chief, during a Humboldt Volunteer Fire Department fundraiser Sunday afternoon. 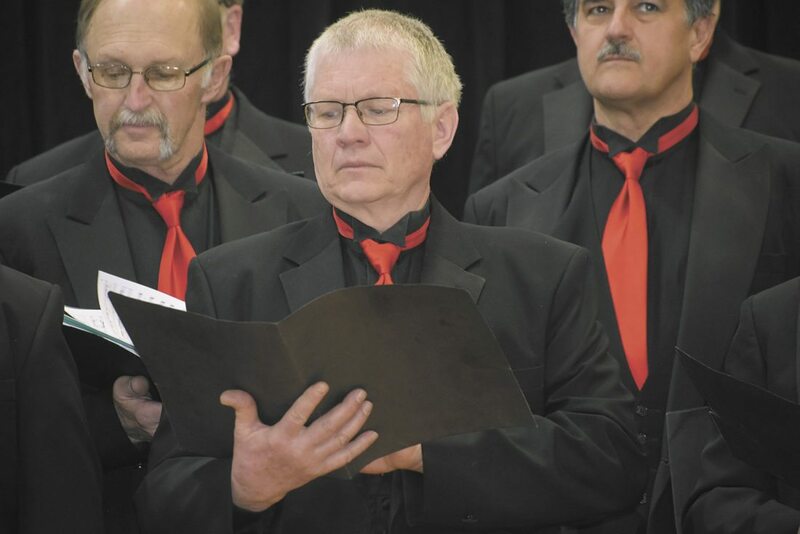 -Messenger photo by Chad Thompson Eric Amundson, of Humboldt, prepares to sing with the Humboldt Community Chorus during a Humboldt Volunteer Fire Department fundraiser Sunday afternoon. -Messenger photo by Chad Thompson More than 1,200 people attended the Humboldt Volunteer Fire Department fundraiser at the Humboldt High School Sunday afternoon. -Messenger photo by Chad Thompson A Humboldt Volunteer Fire Department program is held in the hands of Nadine Odor, of Badger, during a fundraiser for the department Sunday afternoon at the Hunboldt High School. 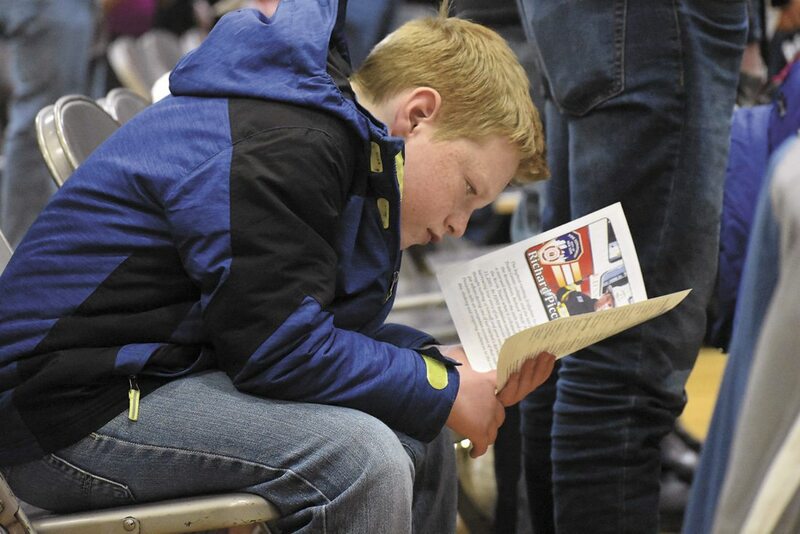 -Messenger photo by Chad Thompson Evan Potter, 10, of Fort Dodge, looks over a program for a Humboldt Volunteer Fire Department fundraiser Sunday afternoon at the Humboldt High School. HUMBOLDT — Richard Picciotto thought he was dead when the north tower of the World Trade Center collapsed on 9/11. Picciotto is a former Fire Department of New York chief. 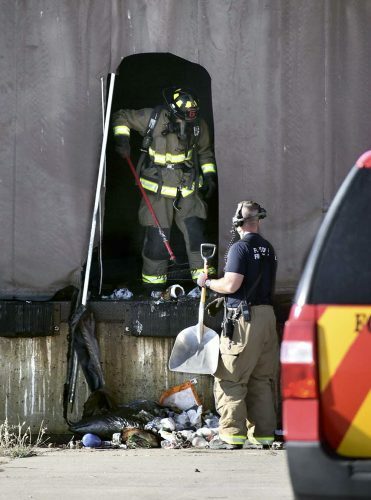 He is one of the highest ranking firefighters to survive the collapse. 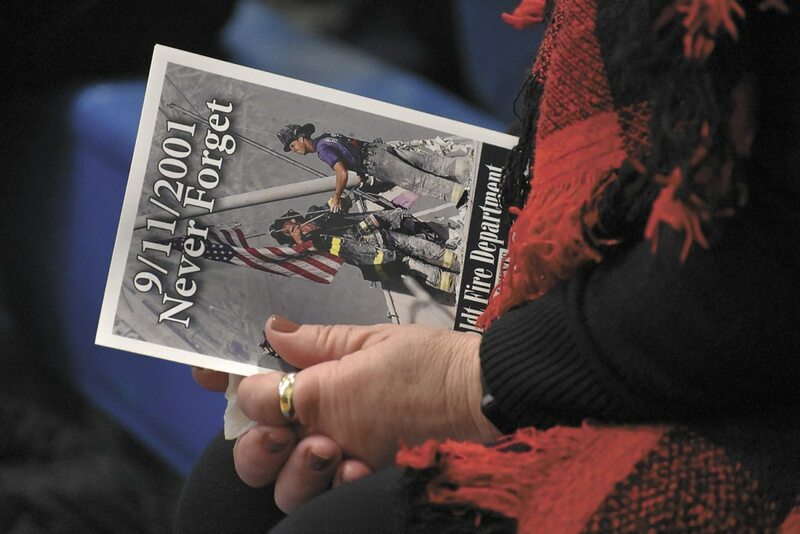 He shared his experiences from 9/11 during a Humboldt Volunteer Fire Department fundraiser Sunday afternoon. 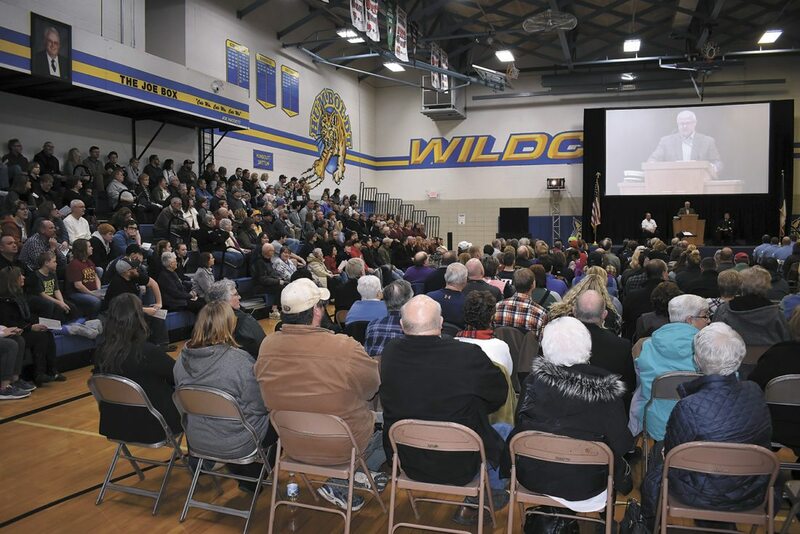 More than 1,200 people filled the Humboldt High School gymnasium. “What are you doing the last eight seconds of your life?” he asked. For Picciotto, he prayed. But he didn’t pray to survive. He prayed that it all would be over quickly. Picciotto was between the sixth and seventh floors when the skyscraper came crashing down. When Picciotto first arrived on scene that morning, he had already witnessed tragedy up close. Picciotto, who was a New York firefighter for 30 years, entered the north tower with his team and made his way up the stairwell. He was on the 35th floor when the south tower collapsed. Soon after, Picciotto said he made his most difficult decision ever. Picciotto used his radio as well as a bullhorn to repeat the order, he said. On the 27th floor, he met some resistance from an office worker who wasn’t ready to leave. Picciotto said he grabbed the man by his shirt and pulled him out toward the door. On the 19th floor, Picciotto noticed a cluster of people. On the 12th floor, one of the firemen told Picciotto there was problem. As Picciotto made his way to the seventh floor, he started to feel the shaking again. Picciotto said he couldn’t see anything. It was then that Picciotto prayed. Picciotto was lying in the darkness. “I thought I was dead,” he said. A short time later, he began to come to his senses. Initially, Picciotto asked that no one move. He attempted to reach someone on his radio. Picciotto and company didn’t get out of the debris for more than four hours. Ultimately, Picciotto was taken in an ambulance to a hospital. 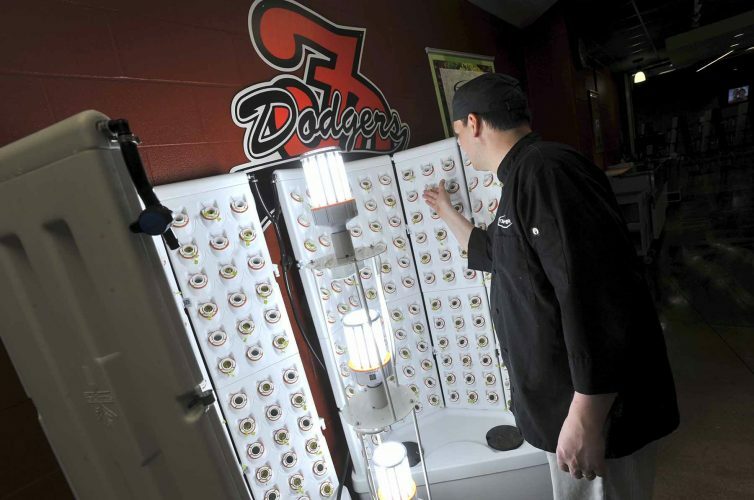 He suffered a torn rotator cuff among other injuries. He said people often ask him the lessons learned. Picciotto said he’s glad that his prayers did go unanswered.